The lovely holiday apartments at the Royal Oasis Club at La Quinta in Spain include a fully equipped kitchen, satellite television and telephones. 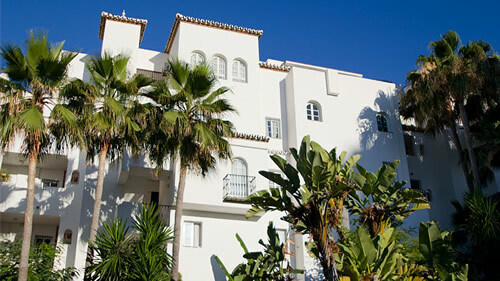 Reminiscent of a traditional Spanish pueblo blanco, or white village, the Royal Oasis Club contrasts impressively with the hotel blocks typically found on the Costa del Sol. The bright airy rooms are beautifully furnished and most have balconies overlooking landscaped gardens and the outdoor swimming pool.